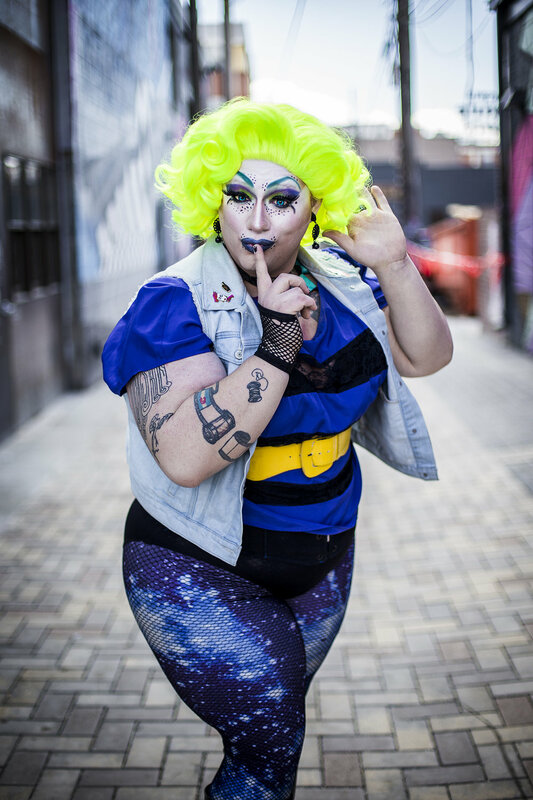 Vivica Galactica is a full time drag queen and bartender living in Denver, Colorado. She has been doing drag just under two years and as her primary gig for about 6 months. 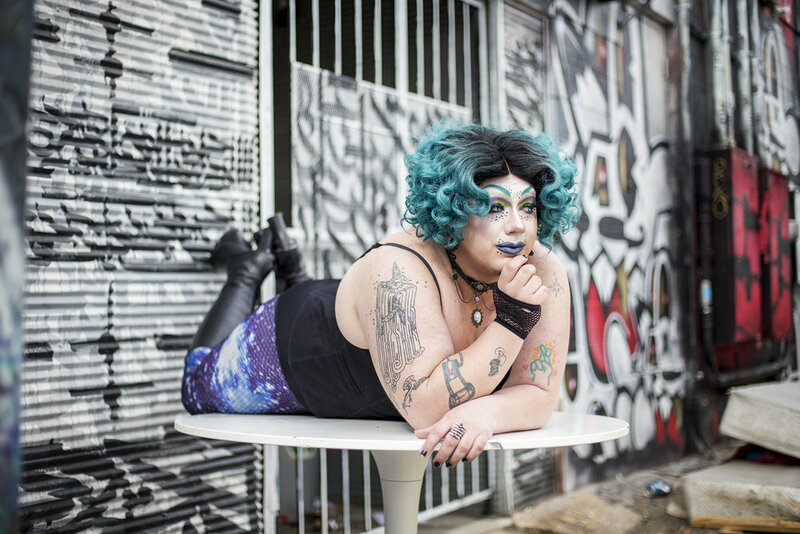 She is inspired by all of the other queer artists in the community, specifically the dozens that have graced the stage at her weekly show, Weirdo. Weirdo is at Gladys: The Nosey Neighbor on Thursday nights at 10:00pm. Vivica also has another weekly show with one of her drag moms, Khloe Katz, called Queen of the Mountain. It is another Amateur Drag show geared more towards top 40 and lip sync battles. Check out Vivica's social links below for dates and times. 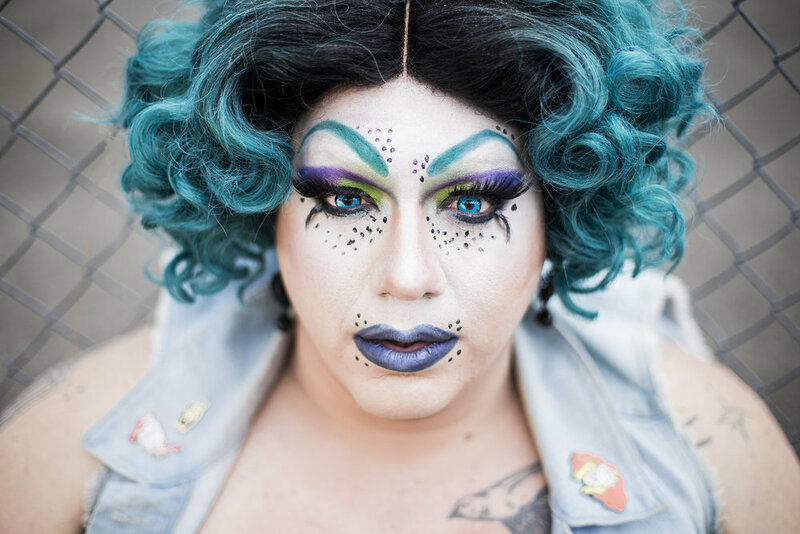 "I do drag because it gives me an outlet for expression. It allows me to dig deeper into my passion for performance, like art, poetry, theater, and so on. Lately, drag has evolved into this crazy wonderful form of queer expression with no rules, and I am all about it. Another facet of drag that I am head over heels about is the opportunity to be an activist, to be political. 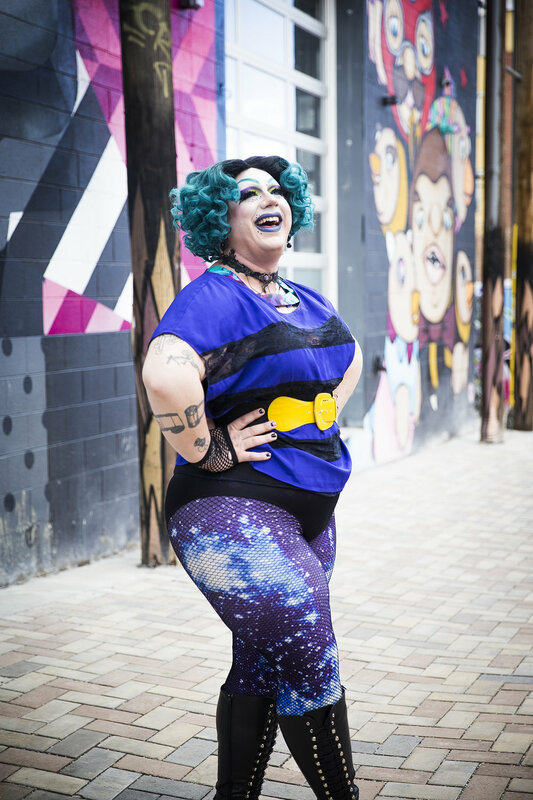 I love that I have fought my way into being the plus size political queen of Denver, being able to have a positive influence on the queer community, especially in nightlife, as it is a platform that not a lot of people have." "My biggest challenge lately has been my body, I don’t have as much control over it as I would like to. Being hit by a car recently really made me take a different viewpoint of my self esteem and body image, which I’m rather happy about. So I have this big beautiful body, but when I see videos of myself on stage I know that I can keep pushing and do better. So, I’m taking steps towards getting better! I just signed up for a physical theater intensive at the DCPA starting in April, and I’m looking forward to finding news ways to harness the power of my full potential." "The most rewarding part of my drag career has been Weirdo. 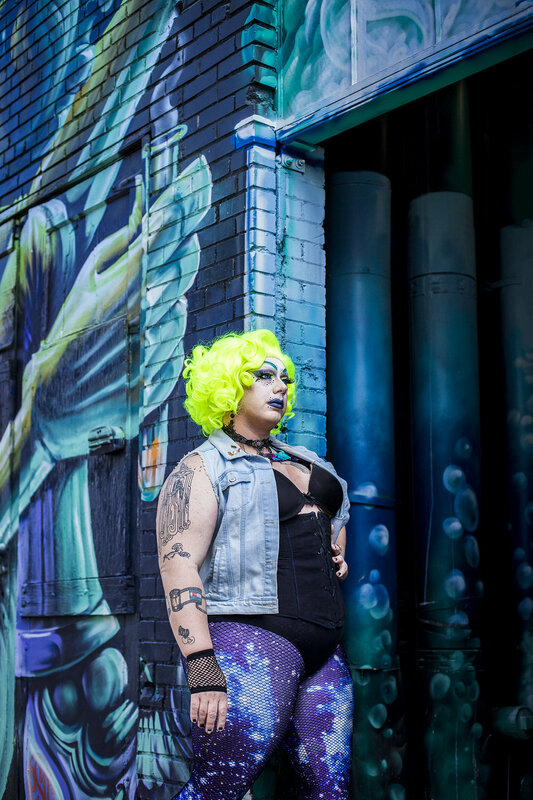 It's something that has completely taken over Denver, and it's starting to create a home for queer nightlife that steps away from the typical bar scene. It has become a place where everybody is welcome, and you have no idea what to expect on that stage. It's a place for me to grow weekly, but also a place to foster performers who don’t feel like they have a home in Denver's growing drag scene. It's an honor to create a space where queer artists and fully express themselves."